Colgate students have fanned out across the globe to apply their liberal arts know-how in a variety of real-world settings. They are writing back to campus to keep our community posted on their progress. 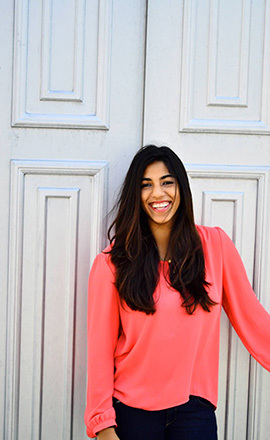 This article was written by Mariam Nael ’18, a women’s studies major from Singapore, completing a student-initiated research fellowship with the university studies division. My parents are Pakistani, but I have lived in Singapore, Dubai, Hong Kong, and New York City. The way I see myself has changed a little since I arrived at Colgate — I think my race and ethnicity have become stronger facets of my identity. One day, I was chatting with some friends from high school about our cultural identity, and I realized that studying the shifts would be an interesting summer research project. Luckily, Colgate has a great program to conduct student-initiated summer research (with funding). I quickly reached out to Meika Loe, professor of sociology and women’s studies. She helped me focus my idea and supported my proposal, and, fortunately, my proposal was accepted. According to sociologist David Pollock, a Third Culture Kid (TCK) is defined as someone “who has spent a significant part of his or her developmental years outside [their] parents’ culture.” The “third” culture refers to the mixing of the host country’s culture (the country in which he or she lives) and his or her parents’ culture. 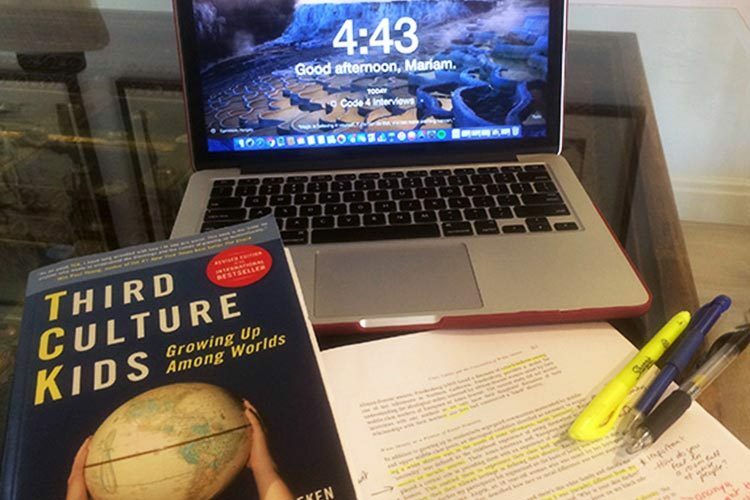 The purpose of my research is to learn about how Third Culture Kids form their personal and cultural identity, especially in college, and whether they experience a shift in the way they self-identify. Additionally, I am interested in whether there is a difference in the formation of identity with non-white TCKs and white TCKs. Throughout the last month, I have been conducting 45 to 90 minute interviews in Singapore with Third Culture Kids between the ages of 18 and 24. Additionally, I have begun transcribing interviews and systematically coding them for themes. The next step is to analyze them and write a research paper. It has been fascinating hearing their stories and seeing the similarities and differences not only between the interviewees, but with my own experience as a TCK. This has been a tough, but valuable, learning process. I wish to continue studying TCKs and identity formation throughout the next few years, hopefully using different methods as well. I am planning to write a research paper, and hopefully, down the line, will try to present or publish it.